It is very rare that something pulls me away from talking about rubbish, but when I was asked to team up with an exciting hydro energy project that's competing for energyshare funding, it was far too interesting to miss. Energyshare has been created by River Cottage and British Gas, jointly managing a campaign whereby communities across the UK have applied to energyshare to have their project funded. These communities have been shortlisted into a small number of finalists, all looking to have their project funded up to the value of £100,000. The competition has also been supported by Channel 4’s Three Hungry Boy’s who spent five weeks touring the South West over the summer, visiting communities just like those shortlisted for energyshare funding. Trevor, Thom and Tim were challenged by River Cottage’s Hugh Fearnley Whittingstall to live off the land and barter their way around the countryside, sourcing the energy for their electric vehicle from renewable technologies. Today the finalists have been announced and campaigning has now begun in earnest to help generate public votes to choose the winning communities. All the finalists are brilliant in their own way. 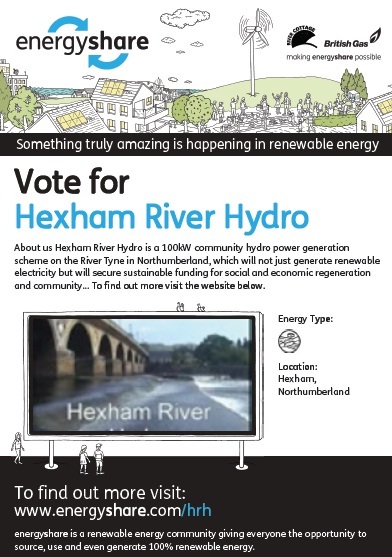 The community that I am supporting is Hexham River Hydro, a fabulous project which will create a100kW community hydro power generation scheme on the River Tyne in Northumberland. It is a joint initiative by Hexham Community Partnership and Transition Tynedale and for anyone who, like me, has grown up or lived near such a similar powerful waterway, it is very easy to get excited about the possibilities of harnessing such energy. 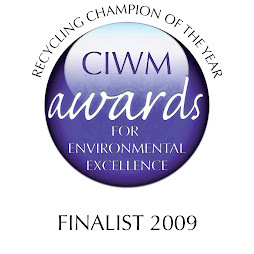 However, this project is not just about generating renewable electricity, it is also about securing sustainable funding for social and economic regeneration and community activities in the market town of Hexham and its environs, as well as creating an education and awareness-raising tool for residents and visitors alike. When I say, I'm very excited about this project, I really mean it and can't wait to get to meet the people and the community behind it. Having spoken to team member Gillian Orrell, this afternoon, I am now looking forward to a trip up north to find out more about their hopes and plans. This project may seem that it's about technology, but at the heart of it, it's really about people and harnessing the energy around us, without impacting on the environment itself. It's amazing to think that it will generate approximately 700MWh of electricity per year – enough to satisfy the average electricity consumption of 150 households, whicle reducing Hexham’s carbon emissions by approximately 400 tonnes CO2 per year. With such localised energy supply, it is also deemed a project of national significance that will be of interest to other similar communities around the UK. 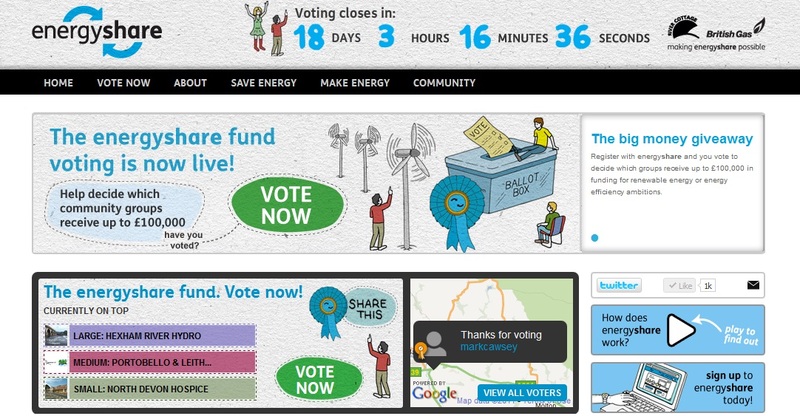 I will be able to report on my discoveries next week, but in the meantime, if you are over 13-years-old and have just two minutes to spare, please get voting at the energyshare website. More information about Hexam River Hydro can be found at www.energyshare.com/hrh. 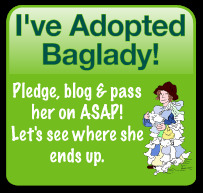 So, please pop over and if you like what you see, please do hurry and vote for them. Voting is open until 5pm on 3rd December with the opportunity to win one of 5 books that River Cottage is giving away every day to voters. Furthermore, for the energyshare Group that gets the most supporters voting, there is the chance to scoop a £1,000 cash prize. So please do get involved now and visit energyshare.com/voting. This is a sponsored opportunity on behalf of British Gas. However, all the author's views are her own. nice post it is very useful for us.